Simple, safe and rapid non-intrusive commissioning, using the intrinsically safe hand-held setting tool. 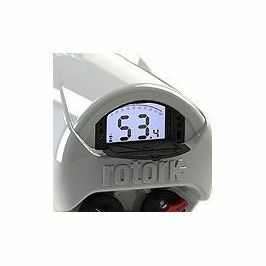 Torque levels, position limits and control & indication functions can be accessed and adjusted in any environment, with power on or off. Two-way data communication facilitates multiple actuator configurations. The technology offers significant time and cost savings in comparison with conventional actuator commissioning. Incorporating a direct drive or geared handwheel, sized for effective manual operation of the valve, with centre-column bearing enhancements for improved centre-column support. 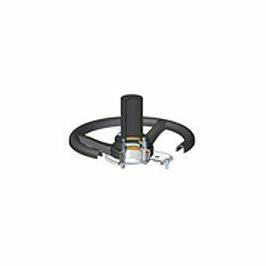 Handwheel drive is independent of the motor drive and is selected with a lockable hand/auto lever for safe operation even when the motor is running. 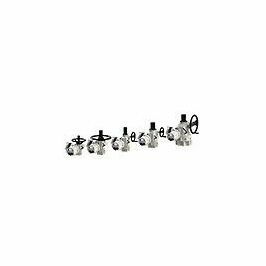 For all sizes, the cartridge styled thrust and non-thrust base types are separate to the gearcase facilitating easy installation. Should the actuator be removed, the base can be left on the valve to maintain its position. Human Machine Interface (HMI) includes a large high contrast dual-stacked display, local controls, Bluetooth® wireless technology, Status indication and an optional environmental shield. Non-intrusive local control guaranteed with the use of robust magnetic hall-effect sensors. Next-generation IQ actuators are setup using its partner Bluetooth® Setting Tool. Bluetooth® connectivity allows easier use without direct-line of sight and over greater distances, however security has to match. This is achieved by the initial "pairing" of tool and actuator being carried out by a single infra-red transaction after which a Bluetooth® wireless connection automatically takes over. The Bluetooth® connection has 4 levels of configurable security. 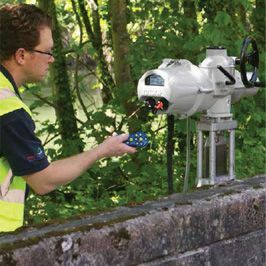 Configuration changes are password protected and the actuator is immune to connection by non-Rotork devices or programmes. 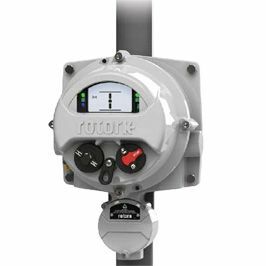 Rotork actuators include an onboard datalogger, which captures valve, actuator, control signal operation, service alarms and status data which can be viewed locally on the display or downloaded to a PC using Insight2. 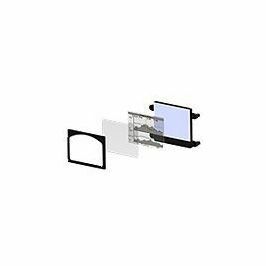 The dual stacked display allows large segment character position displays down to -50 °C while the matrix display provides detailed setting, status and diagnostic (graphical and textual) multi-lingual screens. Overall the display is 30% bigger than the IQ Pro, is backlit to provide excellent contrast even in the brightest ambient light conditions and is protected by a toughened glass window. An optional protective clip-in cover is available where high UV levels or abrasive conditions are present. The position indication is shown to one decimal place. Rotork actuators are compatible with the most popular industry standard Fieldbus systems via network cards that are fitted in the main electronics enclosure. 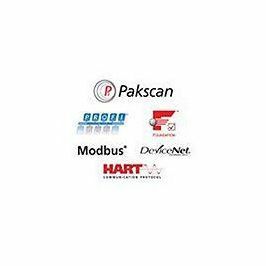 Additionally, the IQ3 Range is fully compatible with Rotork's own proprietary 2-wire network system, Pakscan™ and Pakscan™ Wireless. 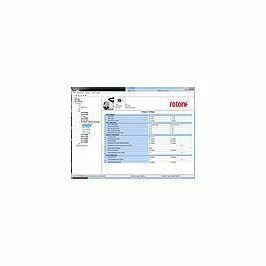 Data can be downloaded wirelessly with the Rotork Bluetooth® Setting Tool Pro or to a PC and analysed using the Rotork Insight2 software. The introduction of the new Insight2 program allows the user full access to configuration and valve performance analysis. 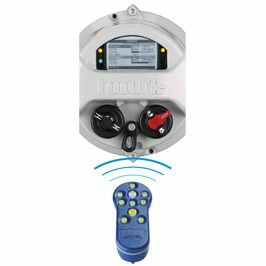 Rotork Insight2 facilitates the review, configuration and analysis of set-up configuration and datalogger information for Rotork Bluetooth® enabled actuators. The visually interactive application is intuitive with clear menus making it a simple and fast process. The Remote Hand Station is a bolt-on extension of the IQ3 range. Mounted away from areas that are hazardous, inconvenient or unpleasant for humans to operate, they allow full remote control, access and configuration in a safe manner.